In terms of species numbers, rust fungi outnumber the PM by approximately ten times (with around 7000 to 750 PMs), and yet NDRs are few. PMs are therefore thought to possess strong pathogenicity factors making them good at invading new areas and expanding the number of host plants they are able in infect. Examples of this are common. If you see a characteristic white, talcam-powder-like coating on the leaves or fruit of your grape vine it is likely to be an invasive PM from North America (Erysiphe necator), which 40 years ago we would not have seen in the UK. Similarly the horse-chestnut tree would have been free of mildew (along with its other diseases) before 2002. Erysiphe flexuosa has therefore caught up with its host and potentially helped to exterminate the tree. The most recent invasive PM seems to be a species from East Asia infecting Privet and Lilacs, the Erysiphe syringae-japonica. Initially this cryptic species was considered to be the same old Erysiphe syringae. However, the production of abundant sexual spores, and subsequent molecular analyses have shown it to be a separate species. Erysiphe syringae-japonica: an invasive PM from East Asia with abundant sexual spores has recently reached the UK shores. Please look out for PMs on these new hosts, and send in samples, as records will help to track the spread, especially of the relatively recent E. syringae-japonica. 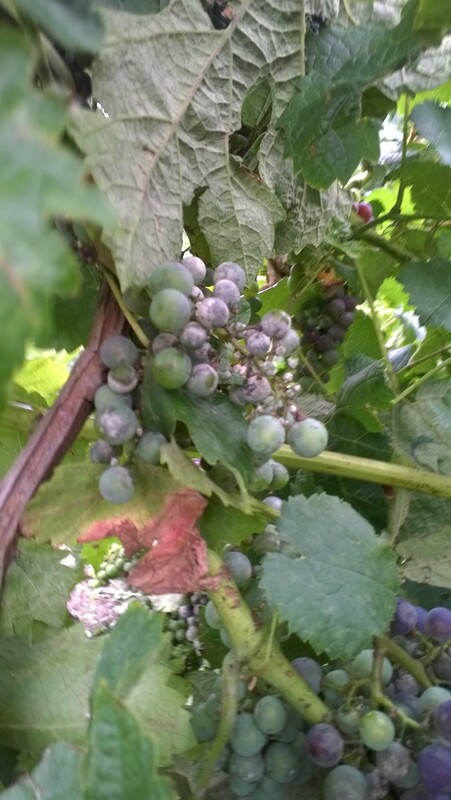 This entry was posted in PhD research, Public Engagement with Science, RHS research and tagged Ascomycota, Grapevine, Invasive, New Disease Reports, Oliver Ellingham, Powdery Mildew, RHS. Bookmark the permalink.